Ready for new UK accounting rules? If you’re an accounting professional you may already know that the Financial Reporting Council plans to replace UK GAAP financial reporting standards with FRS 102 starting in January 2015. But if you’re a small business owner, you probably had no idea. Nonetheless you’ll need to get a handle on the changes, because they will have an impact on your business. Transparency: businesses will be required to disclose the assumptions they use when estimating the carrying value of assets and liabilities. Intangible asset valuation: UK GAAP allowed a presumption of useful life of intangible assets of up to 20 years, but under FRS 102 that presumption will be limited to five years. Employee benefits reporting: current standards address only post-retirement benefits, but FRS 102 will also address pre-retirement benefits like wages and even compensated leave. January 2015 may seem a long way off, but small businesses that lack full-fledged accounting departments will require a fair amount of time to prepare for the new reporting requirements. 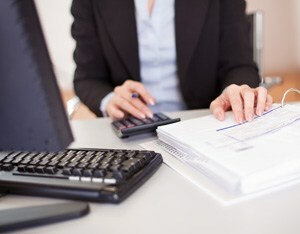 Companies that outsource their accounting functions may safely assume that their accounting service provider will be prepared for the new standards. But it never hurts to ask.